Kamermans Architects Ltd (KA) is a small, award winning practise doing mainly residential scale projects as well as their interiors and landscapes. The principal, Frans Kamermans, graduated at the Technical University in Delft, the Netherlands, and emigrated to New Zealand in 1979. 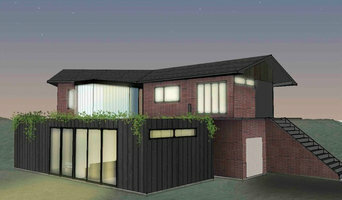 He is a Registered Architect and a Fellow member of the New Zealand Institute of Architects. Frans is also a Certified Homestar Practitioner. Kamermans Architects aim to provide an outstanding architectural response to the specific needs of each client and the physical, cultural and environmental site conditions. As a result all the designs are unique and can vary greatly in architectural style. Our work has featured several times on TVNZ and is regularly published in leading New Zealand and international magazines. We believe that our fresh approach to design, and our ability to remain pragmatic during all aspects of a project differentiates us from our competitors. This synergy makes us an attractive proposition to build not only great buildings, but also great relationships with our clients and our industry partners. We foster autonomy within our practise, while we work in a team environment we encourage and empower individuals within the team. Everyone within our team has something to contribute, providing a culture that values openness and critical thinking. This ensures that we have a more innovative and robust design process. With the right team, not only is anything possible, but more importantly, the journey from inception to execution is hugely enjoyable. 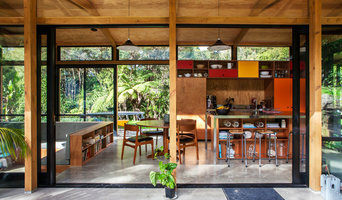 If your renovation is more than a simple benchtop replacement or roof re-tiling job, then it may be time to find an architect in Orakei who can manage your project from start to finish. Depending on the architecture firm you hire, the scope can span from planning sustainable design into your renovations, to selecting furniture and even interior finishes. An architect is often the first person you hire for your project. Before taking steps to find an architect in Orakei, ask yourself what you want to achieve from your renovation or home construction. Do you want to improve the liveability and sustainability of your home, or simply expand? What style of architecture do you prefer? Once you have established your motivation, research architects that have completed similar house designs in your Orakei locale and within a comparable budget to yours. Ideally, your Orakei architect will be involved in all phases of the design process, from the initial concept to the completed construction. Your architect may be needed to select and hire subcontractors (e.g. builders, engineers and landscape architects) just as they may need to negotiate contracts with stakeholders. A good client-architect relationship will ensure they are your biggest advocate along the way during construction. Find residential architects on Houzz. To find the best Orakei architect for your home design project, narrow your search to find professionals in Orakei. Then browse their latest projects and read reviews. You can also look through photos of projects to find an interior architect or designer who has worked on a project similar to yours.